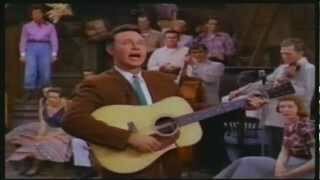 James Travis "Jim" Reeves was an American country and popular music singer-songwriter. With records charting from the 1950s to the 1980s, he became well known as a practitioner of the Nashville sound (a mixture of older country-style music with elements of popular music). Known as "Gentleman Jim", his songs continued to chart for years after his death. Reeves died at age 40 in the crash of a private airplane. He is a member of both the Country Music and Texas Country Music Halls of Fame. Jim Reeves performs at his best in this television special, entertaining a delighted audience with twenty one of his most classic, timeless hits. A must watch for lovers of country and western music and includes best selling hits 'Dear Hearts,' 'Billy Bayou,' 'Bimbo,' 'Gentle People' and many more. Tammy Wynette is joined in this fabulous performance with eight of her lovely singing sisters, with twenty one tracks of pure country pleasure. The Victor Borge Collection Vol.1: The Victor Borge Collection Vol.2: The Victor Borge Collection Vol.1 and Vol.2: Byways Of Steam 3 DVDs in One Offer! !